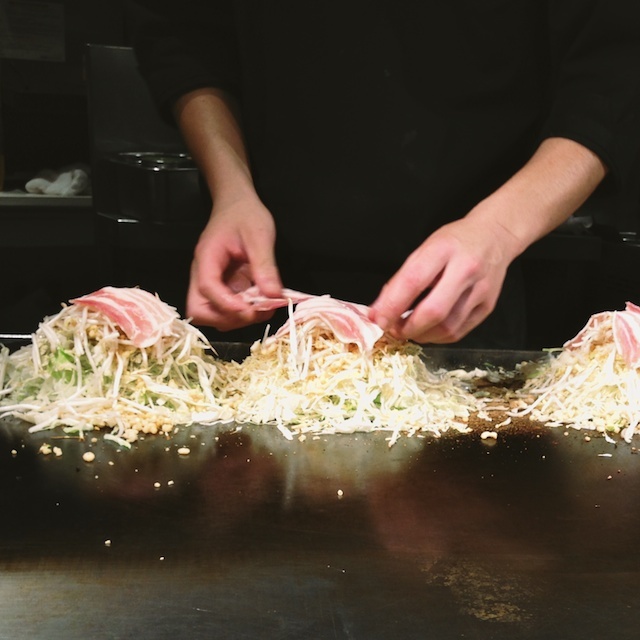 I’d heard good things about okonomiyaki before coming to Japan. It was high on my list of foods to try upon arrival. 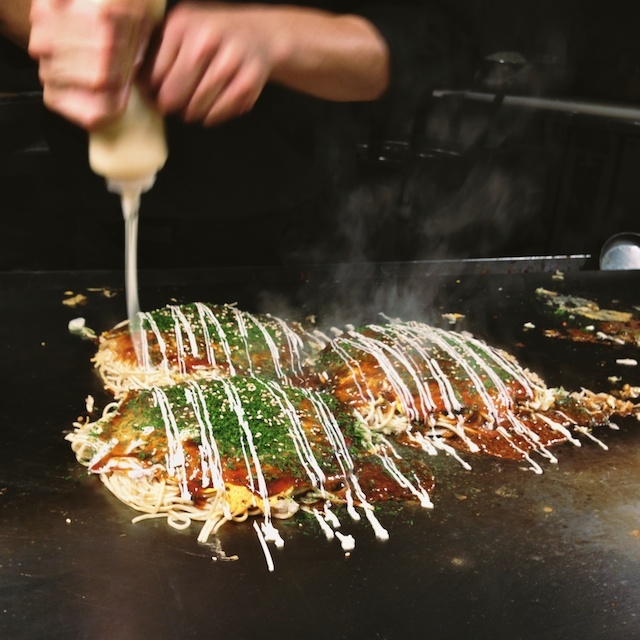 Okonomiyaki is basically a giant cabbage pancake layered with sprouts, pork, noodles (in Osaka style okonomiyaki) and sauce. Nothing challenging about those foods for me, so I was pretty excited. The restaurant we went to was beyond rad. Tucked away on a side street, down a steep and narrow flight of stairs. 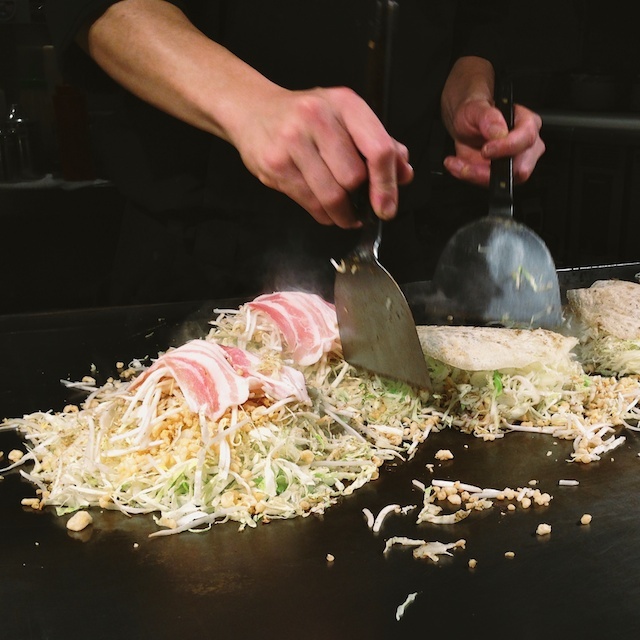 Ten seats, two cooks, a cloud of smoke, and one giant griddle. After waiting for a few seats to clear, we took our places in front of the action. We ordered off of a laminated, illustrated menu by pointing out what we wanted directly to the cook. After finishing off the order before ours and setting it in front of some Japanese customers, he started ours. A little puddle of batter, swirled thin like a crepe, a big handful of cabbage and sprouts, and three slices of unsmoked bacon. An impressive flip, and a scrambled egg that I didn’t get a photo of. 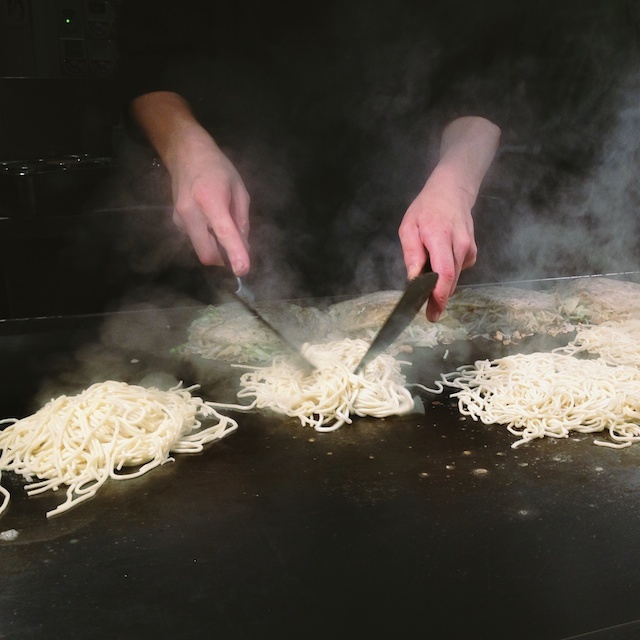 Mounds of fresh noodles, which were piled on top of everything else and flipped again. When these pancakes began to look finished, the size of them made me nervous. I’ve never seen a Japanese person leave food behind. And even if they do, they wouldn’t here, because the cook is watching you eat. THEN when that glossy brown sauce hit the grill, I knew this was going to be a struggle for me. It smelled intensely sweet, and that dusting of seaweed sticking to the top – the combination of smells made my stomach turn. Mayo though, I can handle mayo. Maybe I’d get through it. But I couldn’t. I wanted to stop after three bites because the sauce and seaweed just weren’t for me, but I pushed myself and ate half of it. For perspective, those things were bigger than my head and probably an inch and a half thick. STILL, leaving half of your food unfinished in front of a foreign cook who takes his job seriously and does it well – I’ve never been so embarrassed to leave a restaurant. And I’m supposed to be a good eater. An adventurous eater. A grateful and easy restaurant patron. A person who can count the foods she hates on one finger (it’s bananas btw). And this was the third Japanese meal in a row that I couldn’t finish. 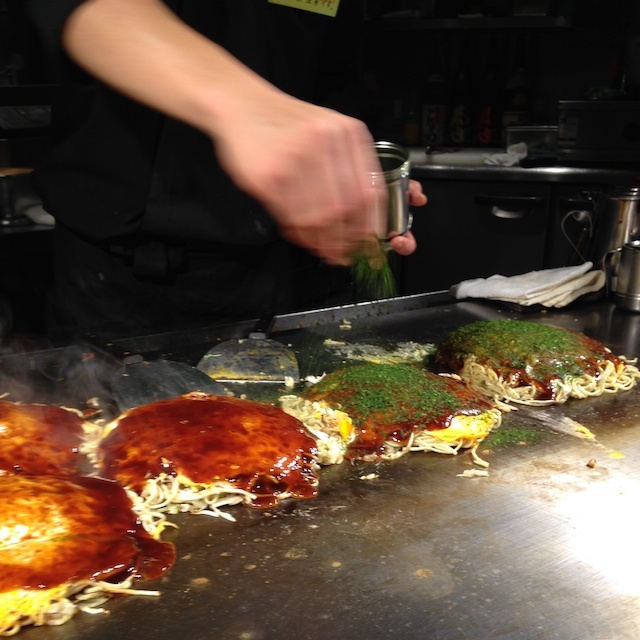 First udon, then my overly rich ramen, and then the massive seaweed-infused dessert-sauced okonomiyaki. 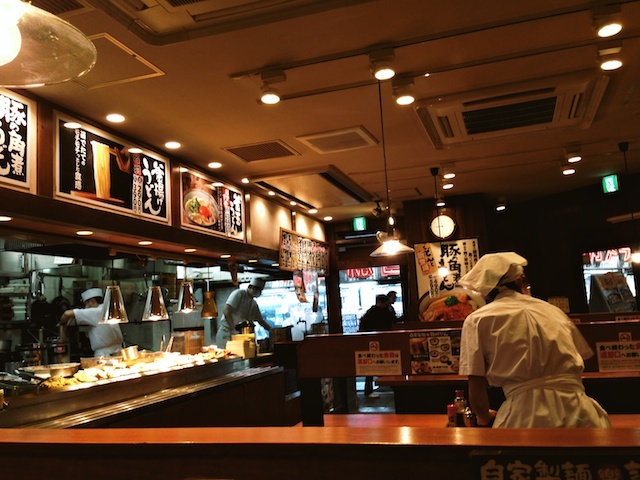 All serious eaters love Japan and it’s cuisine. If I don’t love it, what am I? Maybe I should just go get a job at the Casserole Shanty. For a couple of hours the segment of my identity named “food lover” was battered, and I tried to console myself by thinking that if nothing else, maybe I could take up kendo and come home from Japan with bulging muscles and zero percent body fat or something. After a week on Tanegashima, I can assure you that won’t be happening, but for a couple of hours I was pretty nervous. So I’m chalking my first few meals up to horizon-expansion, a serving of (probably needed) humble pie, and just bad luck. 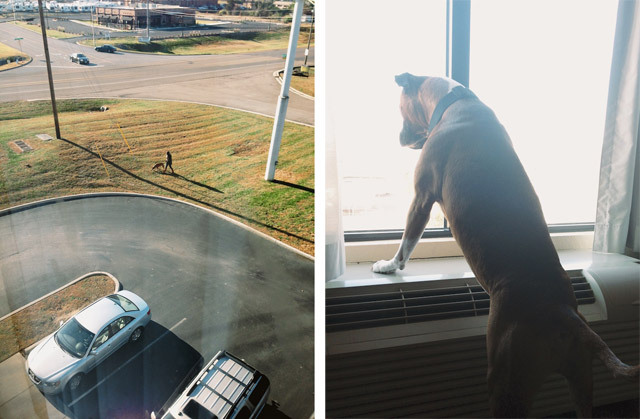 Your braver than I will ever be. That dish looks challenging....but then so did the ramen. Okay I'll admit it, I'm a wimp! casserole shanty, haha....you are still a foodie! don't give up hope! think about bringing up bebe. these foods are just so extremely different than what you've had before, even though you have had a broad food experience. maybe after a few times of trying it, it'll start to taste familiar and you'll like it! what did cody think of it? It was silly, Cody had to talk me down and Caroline did her best to reassure me too. Still, it was a rough start. I've had so much delicious food that I've been able to inhale since then though, that it feels like a distant memory. That said, I taste probably at least one weird thing every day. Maybe I'll come home with some really strange new favorites. I’m pretty tired over here, but I really want to get these posts up so I can start talking about Tanegashima and the rest of the here and now. Also this language barrier thing has put me in a bit of a funk today, so in the interest of time and tone I’m going to be sort of brief. Don’t take it personally – it’s not you, it’s me. Promise. 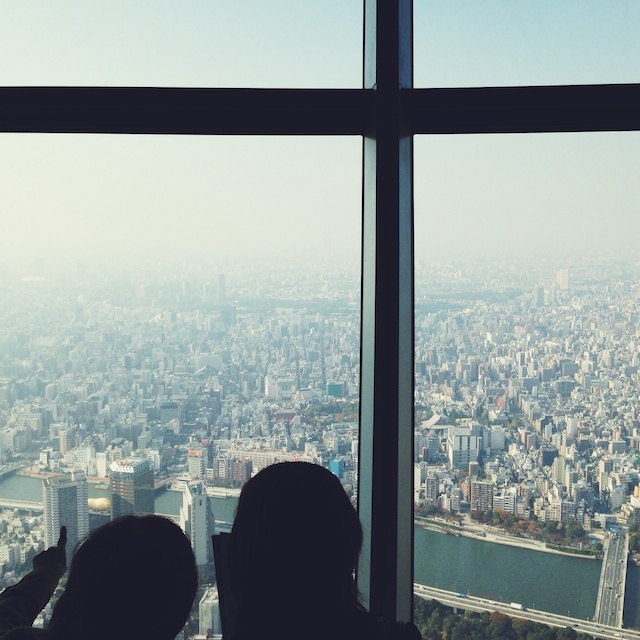 We decided to spend our morning at the Tokyo Skytree because Cody knew how to get there and it’s got a great view of the city. There’s a shopping mall right next door where we poked around while we waited for our turn to go to the top of the tower. 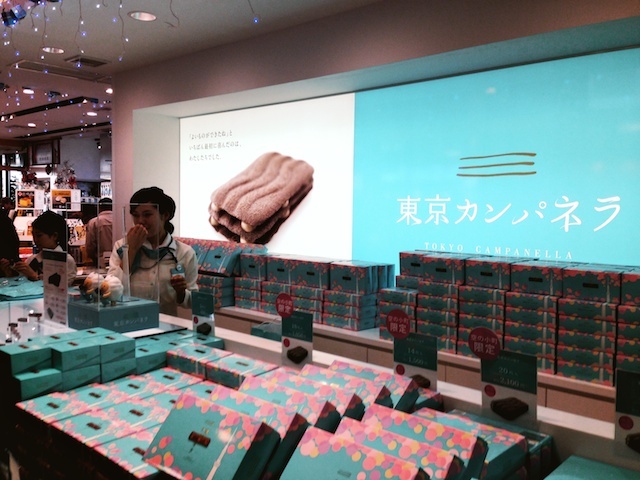 Japanese shops and products are really design-oriented, which I appreciate. 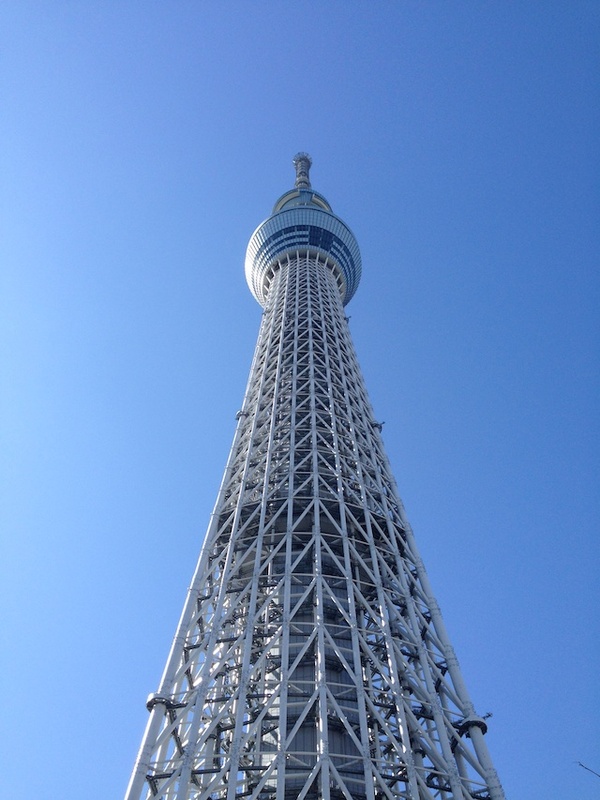 The Skytree is rather big. When it was our turn to board the big elevators for the trip to the top of the Skytree (which was so high up our ears popped) we were encouraged to get real cozy. The elevators were big, but in America they would have put half as many people on for the sake of personal space. Anyway, that guys face on the right. The cutest. 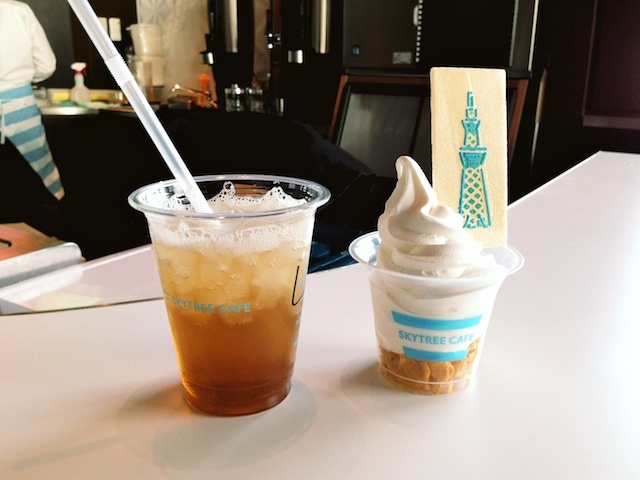 Skytree snack time: curiosity compelled me (as it frequently does) to try that lychee vinegar soda on the left. It was more vinegar-y than I expected it to be, but the more I drank it the more I liked it. Cody got ice cream with corn flakes, which turned out to be rather good. 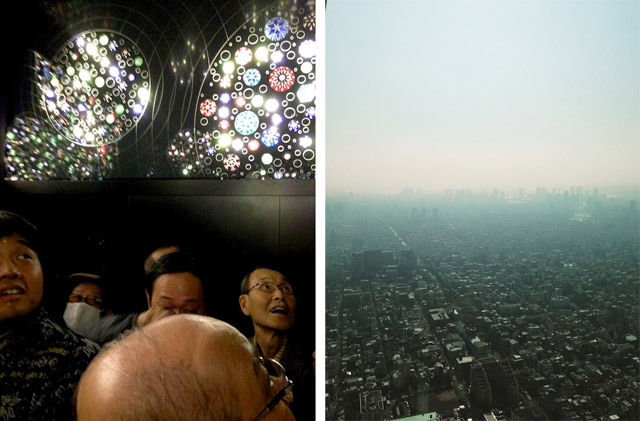 The Skytree has these sections with glass floors. Pretty cool, but again with the personal space. That was the best photo I could manage. After the Skytree we went back to the smorgasbord that is Shinjuku for lunch where we got to order ramen with an automated machine in front of the restaurant. I’m so mad I didn’t think to get a picture of it. I was distracted trying to decode the menu and match it up with the little photos on the machine. When I go back I’ll make sure to keep my wits about me. Anyway, that ramen was amazing. 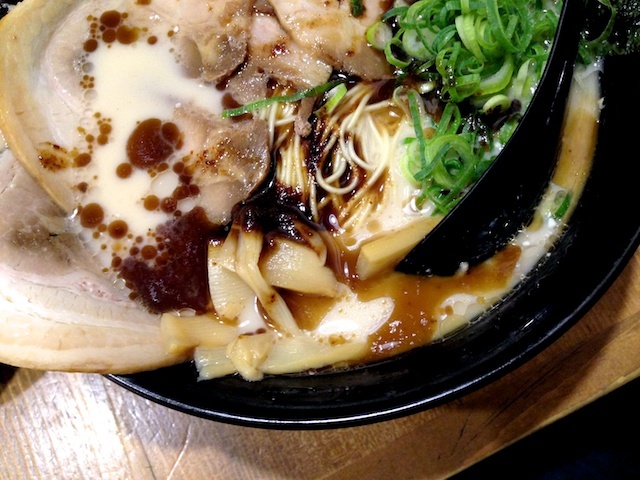 It’s a variety made with pork bone broth and the flavors are intensely delicious. Kind of in the way dark chocolate cheese cake is intensely delicious. I mean I could only eat about ten bites before I started feeling like I was choking on it. It was super duper ridiculously rich. And so then I had to work off the lunch with some calisthenics. Luckily there was a perfect routine on tv, but I felt funny because I left my work out pantyhose in America, silly me (I mean those girls were wearing pantyhose to work out). You know those games you play when you’ve spent so much time with someone you’ve run out of real things to talk about? Hypothetical question games? Cody and I played that a few times on our way to Texas and one of the questions we pontificated on was: if you could have a super power what would it be? Mine was and will forever be teleporting. 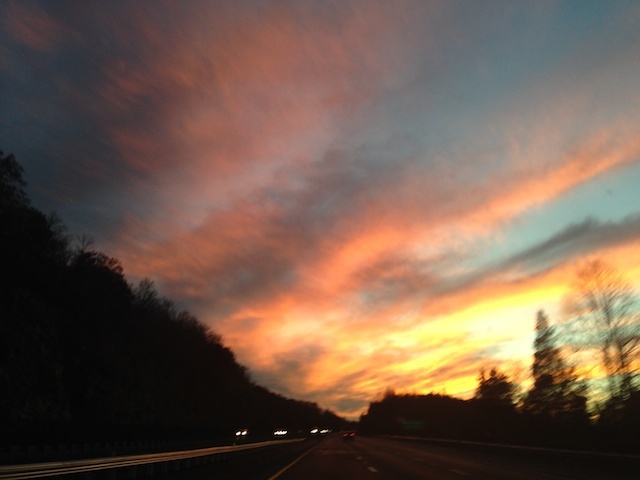 I love visiting new places – no – I live for it, but the process of getting there is freaking tedious. 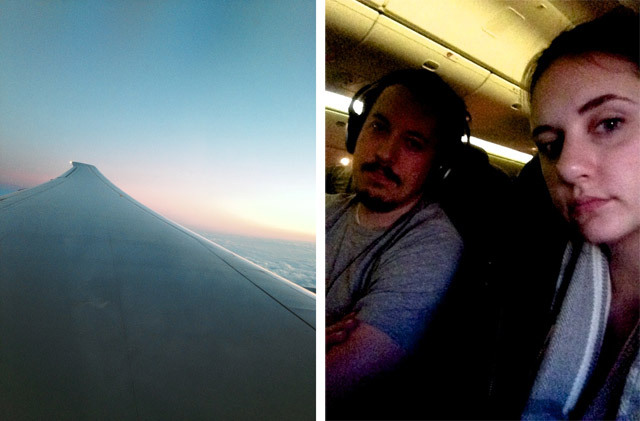 Exhibit A: our faces at the end of our 13 hour flight from Dallas to Tokyo. Also, I keep buying neck pillows thinking they will help me sleep, but my neck is too, I don’t know, something? and they never ever help. So at 5pm Tokyo time, 2am Dallas time, we landed and I took my first steps on truly foreign soil. Stop number one: the airport bathroom. 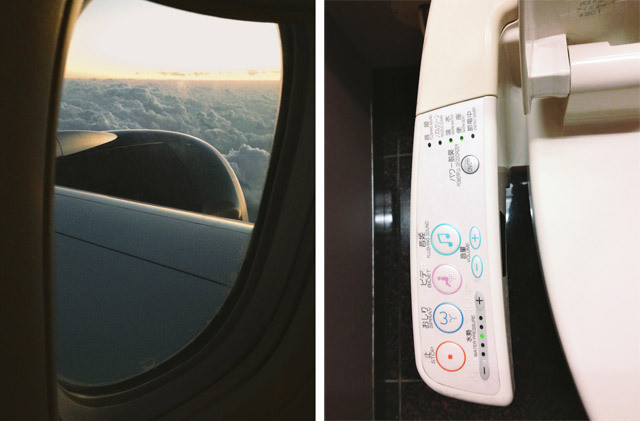 Their reputation preceded them, but I have to add my voice to the report: Japanese toilets are intense. Pasted next to this handle bar was a page of instructions on how to use all the buttons for a full Japanese toilet experience. There’s a seat warmer, a bidet, a “super” deodorizer, and sound effects so nobody has to hear anything upsetting while you do your business. I’ll be honest, I haven’t tried most of the functions because I’m paralyzed with fear. Aaaaanyway, after refreshing ourselves we took a two-hour bus ride to our hotel in Shinjuku and thought about ordering room service so we could get to sleep quicker, but that hotel was fancy and had some fancy room service prices to go with it, (like 30 bucks for a box of noodles) so we reluctantly ventured out. And in the first two minutes of walking out the hotel door we were greeted with …an earthquake (3.7 on the Richter scale)! Which was, frankly, anticlimactic compared to the sensory overload that is Shinjuku. After walking about two blocks the skyscrapers faded into the night and we were surrounded by food. 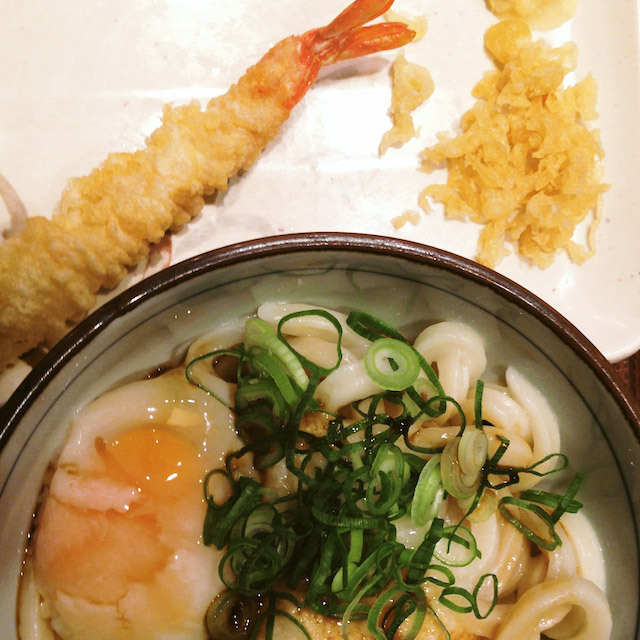 After wandering through the streets for a few minutes, assessing the photos of dishes the restaurants put out for foreigners, we settled on an udon restaurant where I tried some fried shrimp and udon with a barely-poached egg on top. It wasn’t bad, but thick noodles aren’t really for me – something about the squidgy texture. The restaurant itself was awesome though, and when we walked in the door all the cooks shouted “irasshaimase” which means “welcome”. 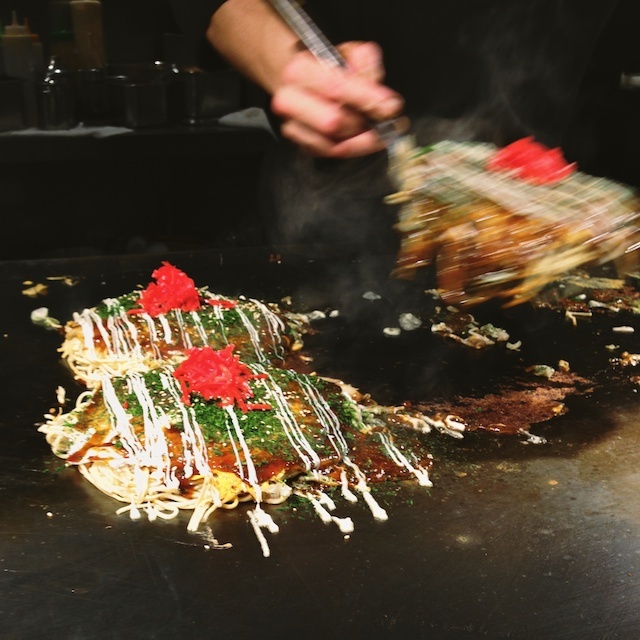 Shinjuku at night is foodie wonderland and it has this energy that’s completely intoxicating and enchanting and I’ll dream about it forever. The next morning we woke up at 3am on the 27th floor of our hotel, waited as long as we could, went downstairs at six or so and wandered around for a bit. 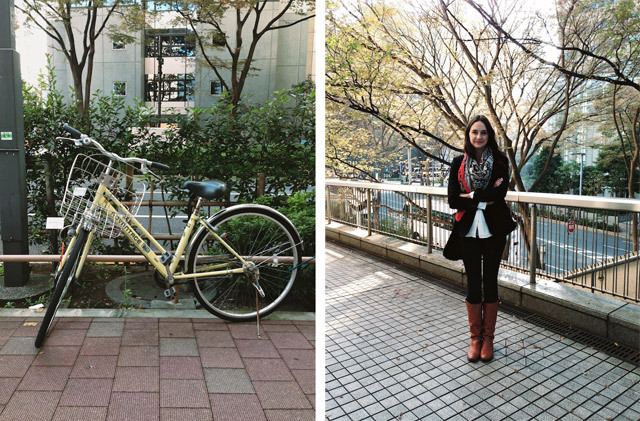 Tokyo is remarkably clean and people tend to not lock up their bikes, which is kind of mind-boggling in a city this big. 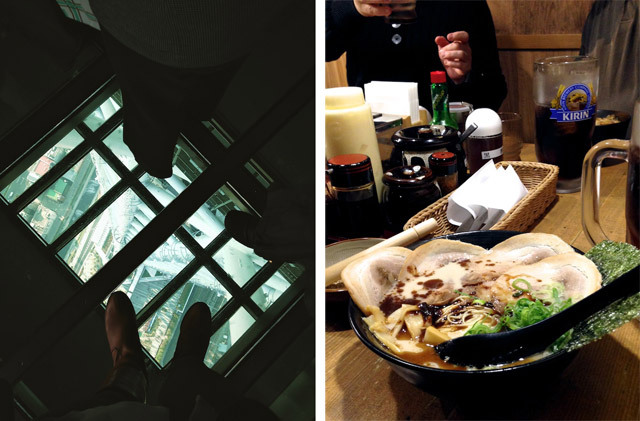 Up next is the Tokyo Sky Tree, some ramen I could barely eat, and a soda made with vinegar. I’ll promise I’ll be quick about it. This is amazing. We have traveled a lot and the plane rides are never fun. 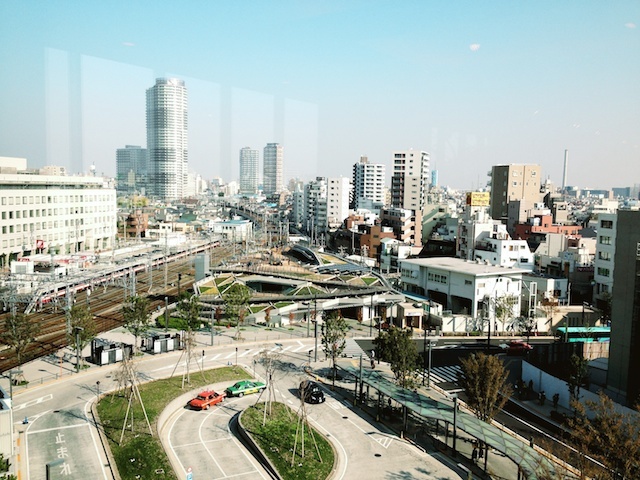 I would love to go to Japan, such a fascinating place. I can't believe the bikes aren't locked! Way to overcome the collective action problem, Tokyoans. yeah, the toilet. that is crazy! i almost feel like if you turn on the noise maker then there goes your secret. i guess maybe it is appropriate at times though. glad your adventure is off to a good start! Coming at you from Tanegashima, Japan on Wednesday morning (yes, the future), sitting on tatami mats next to a rice paper window screen. I apologize for the gap in posting. I don’t know what it is about traveling but, in transit, my brain just can’t go to a place where blogging feels like a possibility. There’s a switch in my head that takes me from reflection mode to intake mode and there is no in-between. Let me tell you, there has been a lot of transit. 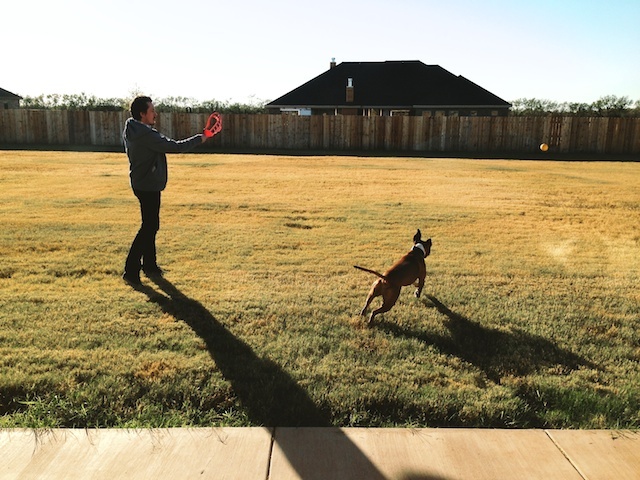 The Saturday before last, Cody and I packed up our car and drove to Texas with Murdock. It took us three days. 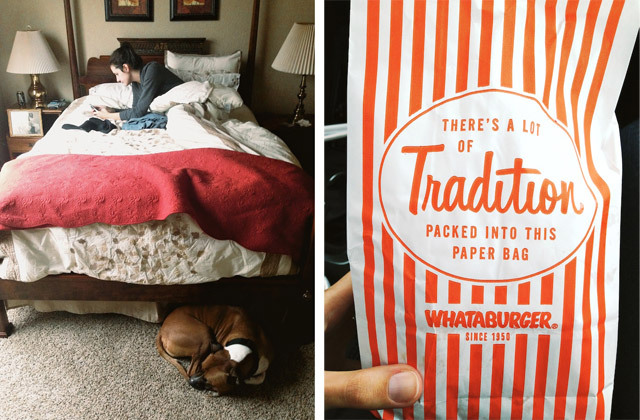 That’s three days of driving, three days of fast food, and two nights of interstate hotels. 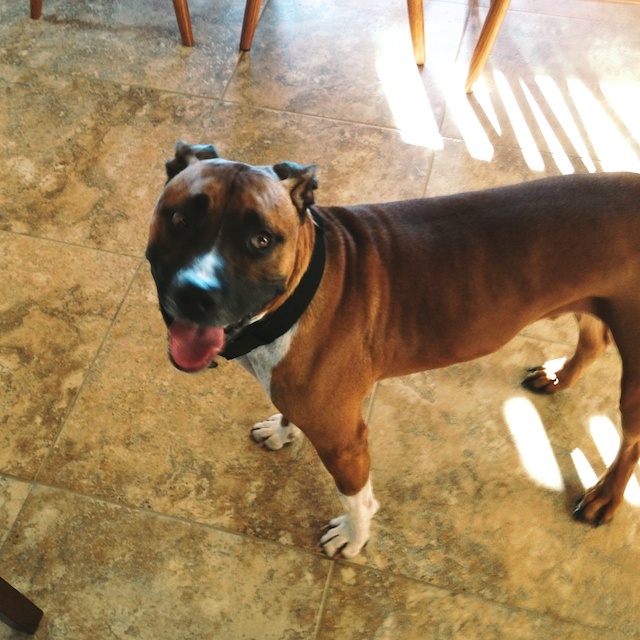 Once we arrived, we had to get Murdock all set up for his extended stay with my family. So there were vet visits and pet store visits and a rattle snake vaccine because Texas is rattlesnakes. Texas is also delicious barbecue, Mexican food, and football enthusiasm, but I didn’t think to take pics of any of that. One of the only fun things for me about road trips is sampling “exotic” drive thru cuisines. 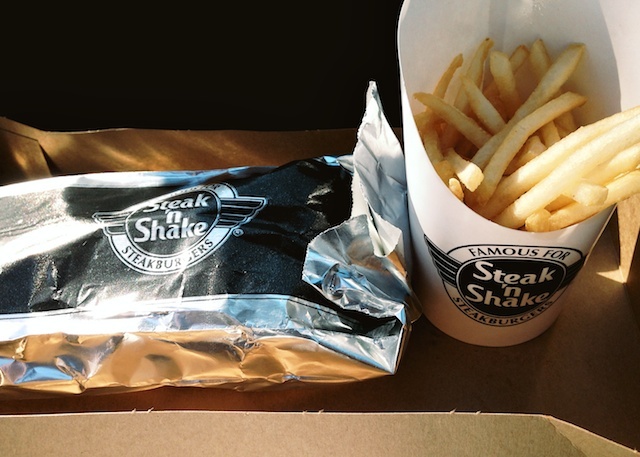 Steak ‘n Shake is a standard in the south and Whataburger is all over Texas. 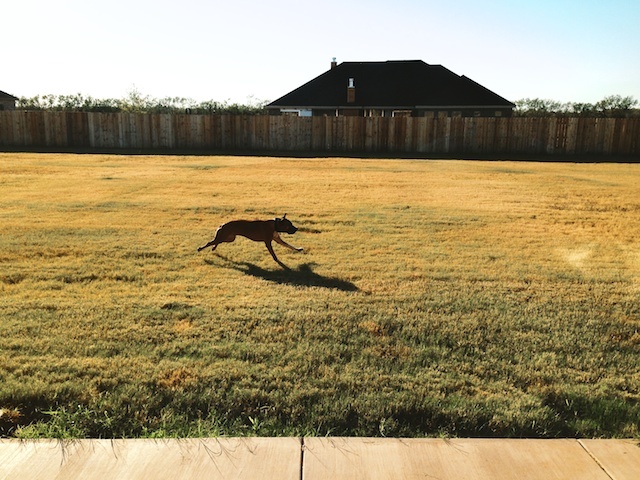 My parent’s new house in Texas has a massive backyard and Murdock is in looove. 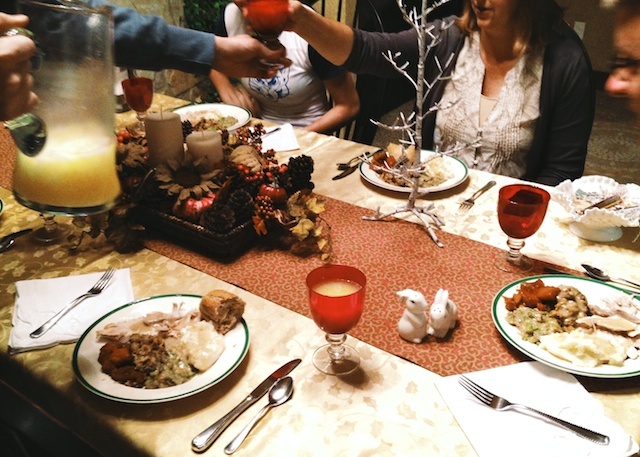 Since Japan doesn’t celebrate Thanksgiving, my mom put together a little pre-Thanksgiving dinner for Cody and I, and she incorporated Christmas and my birthday too, which I will miss spending with family this year. I have to publicly thank my Ma and associated kin for taking care of Murdock while we’re in Japan. On top of everything, Murdock had surgery on his knee shortly after Cody and I left and my mom has been tending to the poor soul in his recovery. I’ll be coming home to the new and improved Murdock 2.0 minus one luxating patella and I won’t have had to do anything. It’s unjust, I tell you. Mom – you’re wonderful. 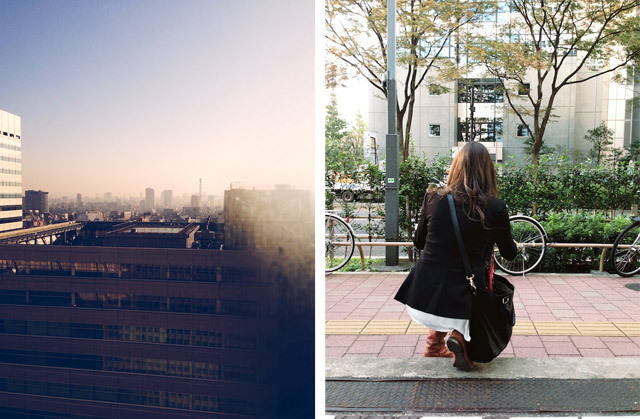 Japan photos coming up next! That is a HUGE back yard. I can see why Murdock is smiling! Your mom's pre-Thanksgiving dinner looks delicious. I tried to sit down and write this post three times without success. Apparently rice intimidates me. It’s such a basic thing – so fundamental to survival for so many people, and also so rife with tradition that I have no claim to. 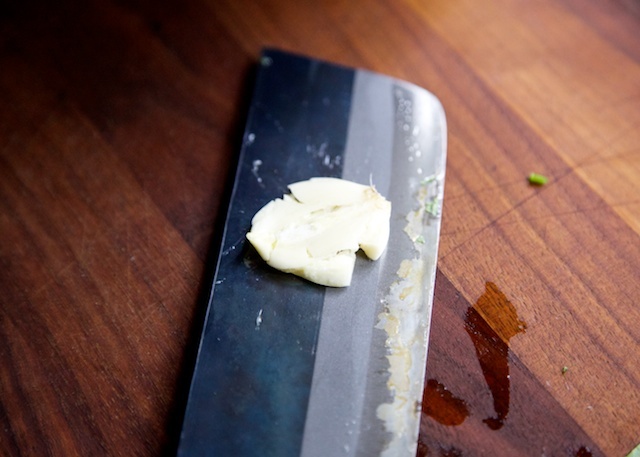 But I eat it, and I cook it, and I think I’m allowed to share a couple of tips that have helped me make it better. 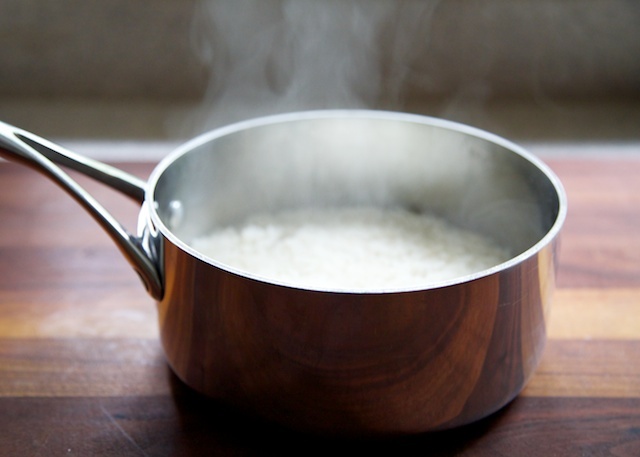 When I’m making white or jasmine or basmati rice I use the absorption method, and you probably do too. 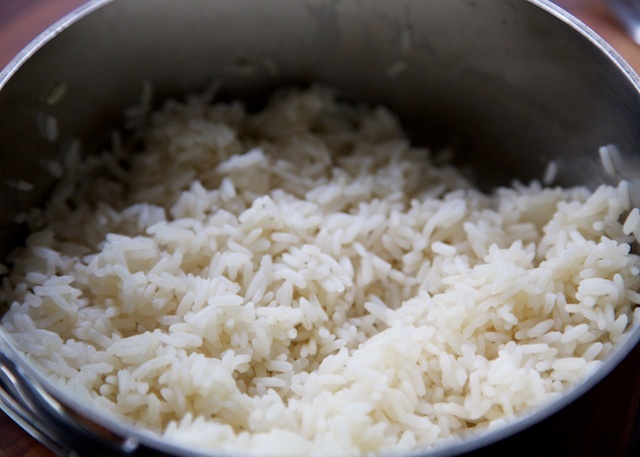 Most rice bags outline this method with a ratio of 1:2 rice to water, dumped in a pot and brought to a boil, then covered and reduced to a simmer for 15-20 minutes until all the water is absorbed into the rice. I used to have a problem where the rice I made always came out mushier and generally crappier than I would have liked. I was helping my grandma out in the kitchen a while ago (who’s from the south and lived in Japan briefly and makes rice a LOT) and I noticed that she used a lot less water than the package called for, and her rice always came out pleasantly dry and fluffy. I asked and she informed, which brings me to TIP #1: USE LESS WATER, GET NICER RICE. 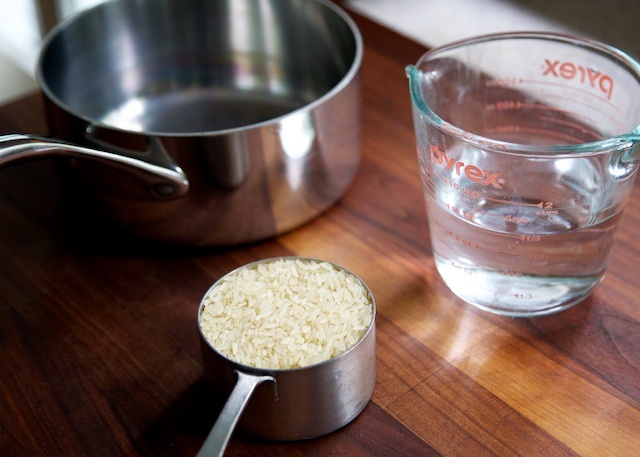 Instead of two cups of water for every one cup of rice, I use about 1 1/3 cups of water per cup of rice, and I love the result. I haven’t gone all the way down to 1:1 rice to water, but some people do it and like it. Some people don’t even measure their water with cups, they just fill their pot until the water comes up past the rice to their first knuckle. I’m not that confident yet, so I use cups. If you’ve ever wondered what Chipotle does to their rice to make it so tasty, it’s this: they stir in fresh lime juice and chopped cilantro after the rice is cooked. 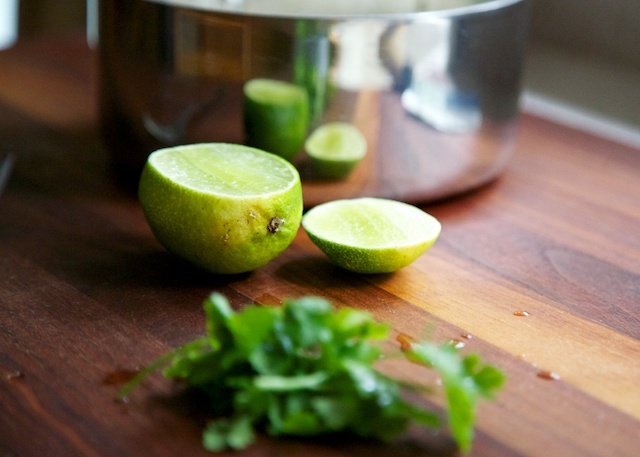 What’s even better is throwing a crushed clove of raw garlic in the pot with the cilantro and lime after cooking and just letting it sit and percolate before serving (just remember to fish it out before you dish up). I call it garlic-infused cilantro lime rice, and it is bangin’. So that’s TIP #2: ADD STUFF BECAUSE IT’S FUN and basically foolproof. Brown rice is a beast of another stripe. 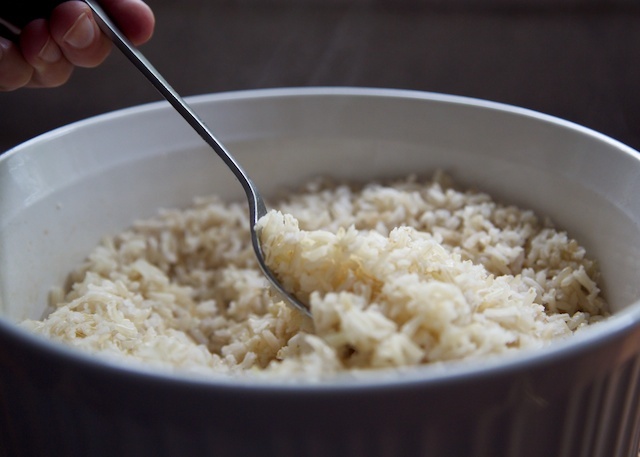 It’s essentially white rice with the brown hull left on, and that hull makes the rice a super-healthy complex carbohydrate with lots of fiber, but it also makes it tricky to cook. 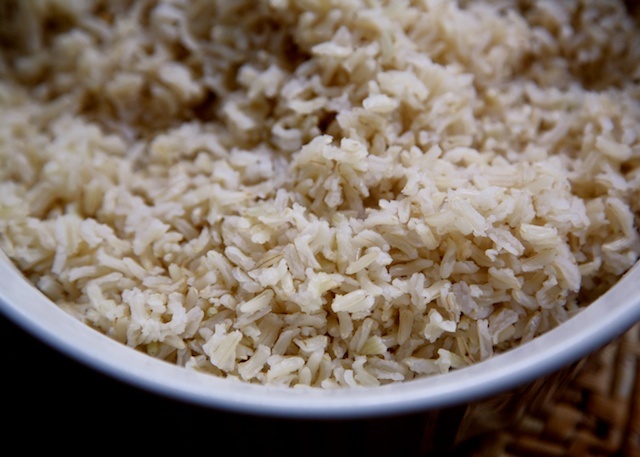 Brown rice takes longer to cook than white rice – like twice as long. And when you’re working with stove cooking, the heat is sort of unevenly concentrated on the bottom of the pot. 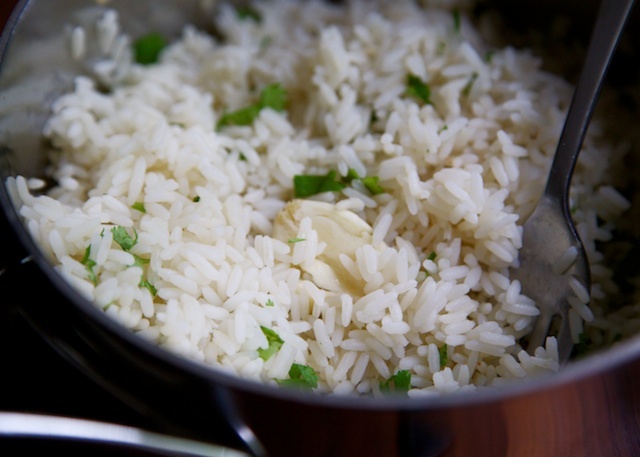 Uneven heat and long cooking can cause problems for brown rice, ranging from burning to under-cooking, with grains that are mushy on the outside and crunchy on the inside. Yum? What I’m trying to say is (TIP #3): YOU SHOULD COOK BROWN RICE IN THE OVEN. Ovens are really good at creating even heat for long periods of time with no serious burny hot-spots. I follow the Alton Brown method (Alton Brown is my spirit animal) and my brown rice is always perfect. I do not mess with the water ratio here. Just follow the recipe and trust in Alton. There is so much more that could be said about rice, and probably a lot of people out there with a lot of opinions about what’s right and proper, but I’m just a girl who eats it sometimes. So if you have any advice for ME, bring it. I'm super excited about this brown rice method. I make it at least once a week and while I have found a brown rice I love, it can still be fickle sometimes. I will definitely try it in the oven this week! Thanks! Ashlee, I love you. Your blog makes me think you are superwoman, always taking your cute boys to do fun things and making homemade baby food. Are you into cooking? I didn't really find my love for it until after I got married, but I'm fully obsessed now. I think you'll love brown rice in the oven. It's impossible to screw up. BUT OH - it helps to spray your baking vessel before-hand to make clean-up easier. Great post. We grew up on minute rice, so I didn't know there were other methods until later. Watching Jiro dreams of Sushi was so funny to me. How the rice dealer was saying he wouldn't sell his rice to Hilton or Ritz hotels or whoever, because they wouldn't even know how to prepare it well. 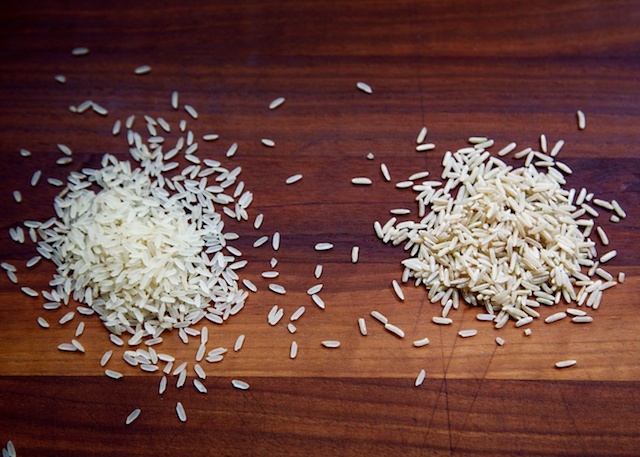 Amazing how much those little variations can alter the rice. What are your thoughts on rice cookers? I have one, use it all the time, and love it. I know, right? 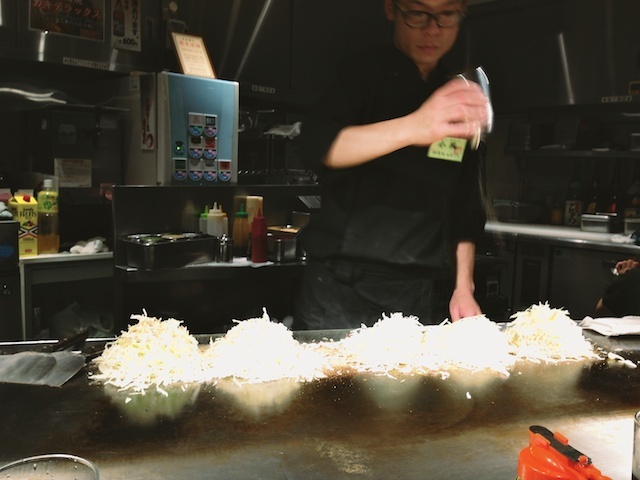 Sushi masters are SO serious about rice. 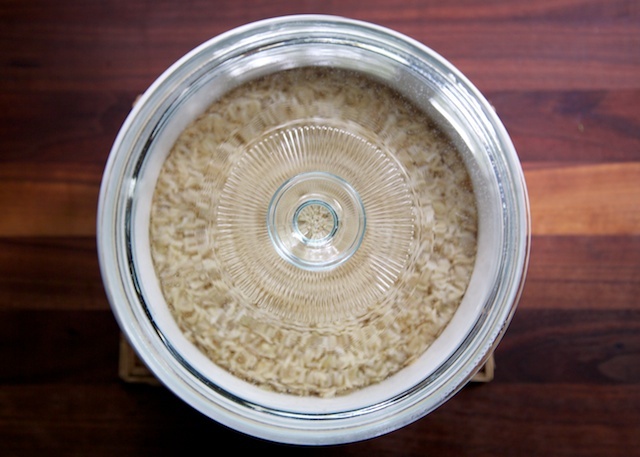 I'm a fan of rice cookers for people who make rice a lot, as they seem to be pretty darn consistent. That said, I don't own one, and I've never used a rice cooker for brown rice. Have you? If so, how was it? oh, your sweet. I find it so hard to stay up on my blog. Definitely not superwoman but we do like to have fun. I can't stay in the house too much or I'll go crazy. :) When I had Wes I realized how it was up to me to feed him good, nutritious food--which is how I developed a passion for cooking. I kind of love making my babyfood. I love being in control of the ingredients and I'm able to make it much more flavorful than the bland store bought stuff. I tried brown rice in the oven with chicken curry and it turned out wonderful. I definitely have a new way to cook my brown rice! Thanks so much.